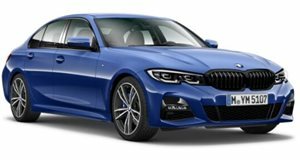 With more than 15 million 3 Series sold since 1976, the all-new, 7th generation G20 3 Series is a big deal for BMW, looking to leapfrog the Audi A4 and Mercedes-Benz C-Class. At launch, a 2.0-liter turbo 330i will develop 255 horsepower, but it’s the new baby M, the M340i and M340i xDrive that will get your heart racing, with a twin-turbo inline 6 boasting 382 hp and a 0-60 mph sprint of 4.2 seconds. The 8-speed automatic gearbox returns on all models. Expect trim lines of Sport and Sport Plus, with the latter getting firmer M-Sport suspension, bespoke gearbox tuning, and Sport seats, along with exterior styling tweaks. Pricing should closely mimic the current range, starting at $41,195 for the 330i. There was no room for mistakes. Designers' and engineers’ absolute best was required to completely redesign an icon like the BMW 3 Series. Now in its seventh generation, the 3 Series has been BMW’s signature model since 1975 with over 15 million units sold globally. It encompasses everything the German automaker represents: luxury, new technologies and, above all, maximum driving pleasure. Ever since BMW created the premium sport sedan segment, competitors have attempted to capture the throne. Some came close. Most failed. BMW wants this to happen again. The , has improved in every vital category, down to the finest of details, which we experienced during our time in Algarve, Portugal with the new 330i, as well as the 320d oil burner that, unfortunately, isn’t coming to North America. BMW also wanted me to experience the new , the most powerful non-M3 3 Series ever, for some hot laps at the Portimao Circuit. How did BMW boost the sport sedan segment to an even higher level? By simply making the best product possible. 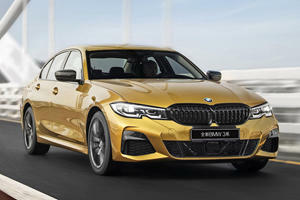 North American-spec 3 Series will be available with a choice of two twin-scroll turbocharged engines: the base 2.0-liter four-cylinder delivering 255 hp and 295 lb-ft of torque and the 3.0-liter inline-six with 382 hp and 369 lb-ft. Both are paired exclusively to an eight-speed Steptronic automatic gearbox with paddle shifters. There will be no six-speed manual for the US. While some still prefer rowing their own gears, BMW determined the manual take rate simply wasn’t high enough to justify. So it goes. But the new eight-speed is a fine gearbox. Shifts are smooth and lightning fast, and I never had the urge to use the paddle shifters. Why no DCT? To save weight, mainly. BMW stressed the new gearbox enables shorter shift times, shorter gearing for the lower ratios, and improved shifting hydraulics. As always, rear-wheel-drive is standard while the xDrive all-wheel drive system (with a RWD bias) is optional. Personally, I prefer RWD and would swap in a set of winter tires when snow strikes. As for performance, the four-pot has a claimed 0-60 mph time of 5.6 seconds, which sounds about right from my experience, and a 155 mph electronically capped top speed. Meanwhile, the M340i makes the sprint to 60 mph in 4.2 seconds. Quick comparison: the outgoing M3 with the Competition Package does the same dirty deed in 3.7 seconds, but that 0.5-second difference requires an additional 71 hp and 74 lb-ft. The next M3 has its work cut out. The new 3 Series shares the CLAR modular platform with the larger 5 and 7 Series, though BMW has done a remarkable job of hiding that. It is longer and wider than its predecessor, but feels smaller. It’s also lighter by around 121 pounds and has a lower center of gravity, stiffer chassis, and a perfect 50:50 weight distribution. I inquired whether the latter applies to all variants but received a semi-vague response. Chances are it’s probably about the same regardless of engine or drive wheel choice. This platform has been designed to accommodate a battery and electric motors, hence the upcoming 330e. However, the new 3 Series will not become a full-on EV, at least not for the foreseeable future. Instead, . The morning drive through the Algarve region in the 330i was delightful. Weather conditions were perfect and the 3 Series shined on those twisty country and mountain roads. Not only is it a comfortable highway cruiser, the 330i wants to play. More on that shortly. Steering is precise and acceleration is brisk, though another 20 or so ponies would be nice. A BMW powertrain engineer told me that is technically possible, but then the power spread between the 330i and the M340i wouldn’t be big enough. The 320d was also a blast, though I preferred the 330i. The oil burner is torquey and smooth with an output of 190 hp and 295 lb-ft. Though it doesn’t exactly inspire drifting or powerslides, the overall ultimate driving experience hasn’t escaped thanks to a superbly engineered chassis and suspension. Like its gasoline counterparts, xDrive is also optional. I asked BMW if there’s any chance the 320d will come to the US later on but the answer was a confident ‘no’. Instead, the 330e plug-in hybrid and its claimed 37 miles of all-electric range, will go on sale in 2020. As for the M340i, let me put it like this: the next M3, due in about a year’s time, is going to be wonderfully nuts because the M340i is already everything you’d want, or need, in a high-performance sedan. Thanks to standard equipment like an M sport suspension, differential, sport brakes, and variable sport steering, track time should be a monthly occurrence, at the very least. You’d be selling yourself short if you didn’t go. Buyers can also opt for the Adaptive M Suspension and 19-inch wheels (18-inchers are standard) wrapped in high-performance rubber, which my near production-ready car was equipped with. Now, when you find yourself on an F1 circuit in a car like the 2019 M340i xDrive, every desire you’ve had to be a professional racing driver will come smacking back faster than the bugs whose final resting place is now somewhere in the twin-kidney grille. I was promised I’d finish my laps with a smile on my face. They weren’t lying. The M340i xDrive (RWD versions weren’t available) inspires confidence because its chassis, steering, and all other relevant driving systems come together as one. They respond to each other and the driver. Once I familiarized myself with the track after a couple of slow laps, I managed to hit the apex (most of the time) and come out blasting. I made the dumb mistake of entering too fast a couple of times at one particular turn and my deserved punishment was oversteer. But here’s the thing: the car did most of the recovery for me and never for a moment did I fear I was going to spin out. The M340i saved me from embarrassing myself. I’m grateful. Braking is phenomenal. My car’s M Sport brakes were very responsive without being too touchy. I would have loved for some fun time just to hit the gas, brake, and repeat on a straightaway. BMW knows how to design a 3 Series: long hood, short rear deck, style but also simplicity. For the G20 generation, both the cab and greenhouse were pushed as far rearward as possible. Although some noted the general design doesn’t exactly break boundaries, a closer examination reveals some lovely details. The twin-kidney grille has a 3D look as it wraps around the beautifully sculpted standard LED headlights. Another noteworthy styling element is the tribute to the iconic E46 3 Series. Note the notch in the front headlights. At first I wasn’t so much a fan until BMW told us the E46 origins. The more I stared the more it grew on me. Likewise with the new LED L-shaped taillight design. This also took some getting used to at first but I've concluded it works well with the rest of the styling language. From the side, there are more muscular proportions and I was told designers pushed hard for the sculpted sheet metal, such as behind the rear wheels. One BMW designer said engineers and suppliers were concerned this design proposal could not materialize outside of computer and clay models. They were wrong and the finished product looks great. As previously mentioned, the 3 Series is bigger than ever, with a wider front and rear track and longer wheelbase. Is this a negative? Not really, no. I inquired as to why the order was given to enlarge the car and the response both surprised and made complete sense: new global safety and crash standards. A larger car is simply safer. “Digitalization was a big issue,” interior design chief Bruno Amatino explained. “Driver orientation was as well, but how do you combine both to make them as exciting as possible? You build around the driver.” I have to admit I was not the biggest fan of the previous 3’s interior layout. It wasn’t bad, but compared to competitors like the Audi A4 and Mercedes-Benz C-Class, it fell short. Not anymore. It’s almost as if BMW skipped an entire generation. The new interior is that good. With its optional 12.3-inch driver’s display and 10.25-inch touchscreen featuring BMW Live Cockpit Professional and iDrive 7.0, you see the world-first (for a car) curved glass flowing towards the driver. There are also fewer buttons and a simpler overall layout. For example, the center console features the gear selector, iDrive dial, drive mode and start/stop buttons, and a few other functions all in one block. BMW aimed to have all main functions clustered together, both on the dashboard and center console, to avoid having to look for stuff. BMW also wanted more surfaces to free up space and fewer panel gaps. The possibility of a center console touch pad, similar to what Mercedes-Benz has done, was considered but ultimately determined it would make the console area too busy. Designers also ran out of space. Amatino and his team made the bold decision for the rev counter to go counter-clockwise, further enabling more space in the digital gauge display for functions such as maps. That driver’s cluster and infotainment system are now directly aligned, creating the impression of a single display for the driver, a “cone of vision” if you will. “We wanted a clean and emotional interior that showcased both driver and digital content,” Amatino summarized. Rear seat space has also improved, thanks to that longer wheelbase. Legroom, headroom, and shoulder room are all increased. The one relatively minor interior complaint I found is that the steering wheel is too chunky. It needs to be slightly thinner. Some standard safety features include collision and pedestrian warning, and lane departure warning. The optional Driving Assistance Package offers active cruise control, lane change warning, steering and lane control assist, and cross-traffic alert. Steering control assist kicked in for me via a steering wheel tug to the left when I ever so slightly crossed into the emergency lane. Can’t say I’m the biggest fan of the steering wheel moving without my consent but the fault was mine to begin with. Another driver high tech assist feature that deserves a mention is the new reverse assistant. It works by having the system store the steering movements for any section of road the car has just driven at less than 22 mph. The system is then able to reverse the car for distances up to 164 feet by steering it along exactly the same line, straight or twisty, it had just taken moving forward. All the driver has to do is operate the brake pedal to control speed. There’s no need to have your hands on the steering wheel. I personally tried this out on a test course and can confirm it works perfectly. Yes, the competition should be concerned. The usual suspects, specifically the Audi A4 and Mercedes-Benz C-Class, are about to be outgunned – not just when it comes to driving and overall chassis and suspension feel. 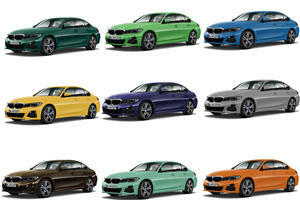 Where the 3 Series was previously lagging, namely interior quality and design, has been corrected and then some. The new 3 Series is more than just a fantastic driving machine; it’s also a world-class luxury car fully on par with its German rivals in terms of quality, build materials, and fit and finish. Another worthy competitor is the Alfa Romeo Giulia. I’ve personally only driven the range-topping 505-hp Quadrifoglio, which is really an M3 fighter. But Alfa Romeo has surprised the competition enough to make them take notice of its Italian-built sedan. BMW clearly got the memo and covered all of its bases. But if there’s one potential wild card, it would definitely be the new Genesis G70. The South Koreans aimed directly at the previous 3 Series with its all-new sports sedan so it’ll be interesting to see a head-to-head competition. Remember, Hyundai poached former BMW M boss Albert Biermann to come and work his magic for them. Pricing for the 2019 BMW 330i starts at $41,195, including destination. That’s about exactly the same as the outgoing model. More car. More technology. More power. Same price. Like always, tacking on features, such as xDrive and driver assist tech, will quickly increase the price tag. BMW has not yet released a complete option price list. As for the M340i, our best guess is a starting price around $60,000. We suspect the next M3’s price will surpass that of the current car’s $69,645 MSRP, so it’d make sense for the M340i to increase in price as well. But at the same time, you’ll have an outstanding high-performance luxury sedan which could end up being the sweet spot in the entire G20 3 Series lineup. We’ll see. BMW has accomplished every single one of its goals for the 2019 3 Series and more. The car may have grown in size, but it’s lighter, more aerodynamic, and better to drive than ever. The new interior is a dramatic improvement from before and the exterior styling contains lots of beautiful details one needs to see in the flesh to fully appreciate. Has the new 2019 BMW 3 Series reaffirmed its position as the benchmark premium sports sedan? Without question. In fact, it’s set the segment bar to the highest level ever. 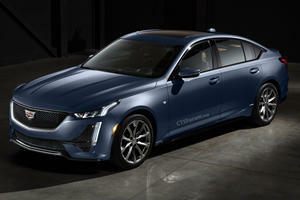 The long-wheelbase sports sedan to debut in Shanghai.